Welcome to Pallet Supplies, specialists in the removal and collection of pallets in Ireland and the UK. If you want pallets collected then use our online service to order collection. You can arrange pallet collection here. 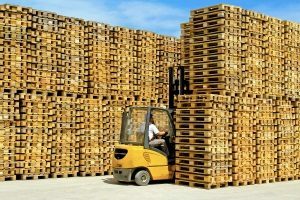 Interested in purchasing some of our excess stock of pallets? Contact us to find out more on special offers on pallet sales. Click here for a map with directions to our warehouse and recycling facility.